Movement to the cloud will continue at a measured pace, spurring additional connectivity needs. With every hardware and software refresh, especially those driven by managing massive new datasets, movement to the cloud (and corresponding connectivity) will be part of the discussion. The public cloud space will remain highly competitive from a pricing standpoint, but compute volume will continue to rapidly increase. Companies will migrate and test more critical applications, leading them to move from public Internet connections to the cloud to VPN and private-line direct connections. Carriers report to ATLANTIC-ACM that direct connects to AWS, AZURE and others are actually driving new revenue whereas a year ago these connections were more marketing tactic than market reality. Hybrid and private clouds will continue strong growth and will become the primary focus of carriers. As medium and large companies move servers to datacenters, they become more comfortable – from a security and reliability standpoint – with these managed, private environments. Carriers want to be a part of those discussions and decisions, and look to capitalize on corresponding increases VPN and Ethernet transport demand. Thanks to carrier investments, businesses will have access to higher bandwidth and fiber connectivity for Internet access. Building fiber to businesses is becoming a more attractive investment for carriers. CenturyLink is rolling out business Gigabit services in 16 new cities; AT&T’s project VIP will add fiber to 250K new business locations by year-end 2015; through its REIT structure, Windstream is positioning itself to invest in adding fiber to businesses through builds or acquisitions. At the same time, cable companies continue to expand in the business space, adding fiber and rolling out DOCSIS 3.0 and 3.1 services. Cablecos will increase availability of high-speed access for their wholesale partners through fiber and, in time, through DOCSIS, giving more access options to CLECs signing up business customers. Finally, Ethernet-over-copper (EoC) is improving, giving businesses without fiber stronger high-speed options. As businesses get better connections and consume more data, the business spend on broadband and dedicated Internet access will increase from $12.1B in 2013 to $14B in 2019. Bandwidth will increase significantly faster, meaning the price-per-meg will drop rapidly. The migration from legacy private-line services to Ethernet transport will accelerate. ATLANTIC-ACM estimates that revenues from legacy private-line services bought by businesses was down 8% from 2013 to 2014, while Ethernet transport (switched and dedicated Layer 2 Ethernet services) revenue reached $4B in 2014, up 16% from 2013. Ethernet’s share will grow from 38% of private transport in 2013 to 66% in 2019 as every sales conversation now starts with Ethernet. Both customers and carriers are inclined to go that direction as customers appreciate the scalability and protocol consistency and carriers seek to eventually decommission legacy networks. DIA and IP VPN also will make huge shifts from TDM access to Ethernet access technologies in 2015. The pace of migration from TDM voice to VoIP also will pick up, driven by hosted services and additional Unified Communications (UC) features. After almost two decades discussion of voice moving to IP, ATLANTIC-ACM estimates VoIP made up only 21% of business voice revenue in 2014, on the back of 19% growth from 2013 to 2014. The movement will continue and VoIP is expected to make up 45% of voice revenue by 2019. Driving this movement will be customer demand for hosted solutions as opposed to managing IP PBXs at business locations. Niche companies offering these services such as 8X8 and Ring Central have seen strong growth, up 29% and 36% from 3Q13 to 3Q14, respectively. Large carriers are taking notice and sprucing up their own offerings with added UC functionality, often based on a Broadsoft platform and with Lync or Office 365 bundling. Comcast’s Voice Edge, CenturyLink’s Managed Office, Verizon’s Virtual Communications Express and AT&T’s Hosted VoIP have performed well by all accounts. Cable companies will continue to take share in 2015, making strong moves up market. Cableco’s share of the business telecom market increased from 4.8% in 2009 to an estimated 12.8% in 2014. Most of this growth came from small businesses. Comcast, the largest cable player, received 78% of its revenue from businesses with under 20 employees in 3Q14. Going forward, cable companies will see growth come from medium and large regional businesses buying Ethernet transport, high-speed Internet access and enhanced voice solutions. The merger of Comcast and TWC would give the combine company added power in the medium- and large-business space thanks to the multitude of on-net buildings they could access. Software Defined Networking (SDN) will remain fuzzy, but carriers will see some uptake with network function virtualization (NFV). SDN will maintain its buzz, but in the enterprise space it will remain mostly confined to data centers. An exception may be dynamic bandwidth, which is tangentially related to SDN. Fast, on-demand provisioning of Ethernet circuits and bandwidth will be a valuable sales story. (tw telecom received strong traction with these services over 2014.) NFV on the other hand, will add an attractive new revenue stream for carriers. The idea of taking equipment such as firewalls, routers, and other pieces of equipment out of the business customer’s premise and into the carrier’s network is a compelling sales pitch. Overall, 2015 will be an interesting year for telecom as the economy continues its long recovery and businesses make investments in IT and networking. In order to stay relevant in the business services world, carriers will need to focus on executing on fiber-based footprint expansion while adding value-added services to move up the stack. This can be accomplished organically, inorganically or via partnerships. In evaluating these strategic moves carriers will need to develop deep understandings of customer priorities, service migration plans, overall opportunity, competitive intensity and entry cost models to best evaluate how to continue to evolve and where to play. 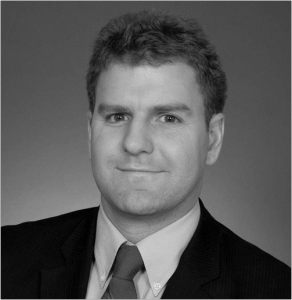 Charlie Reed has worked at ATLANTIC-ACM since 2005 on projects ranging from market sizing and forecasting to corporate strategy. Charlie has a broad perspective on the telecommunications market and deep expertise in sizing and forecasting the enterprise and wholesale carrier markets. Charlie is responsible for the firm’s delivery of data intensive sizing and analysis projects and the development of key market models and algorithms to isolate trends from large and diverse datasets. Charlie is a key contributor to ATLANTIC-ACM thought leadership, several industry journals and has spoken and a number of industry-wide conferences.Charlie has a B.A. in economics at Colby College focusing on econometrics and micro-theory with minors in both environmental studies and business. Next: Friday Poll: Net Neutrality via Title II is Nigh, Thoughts? All this forward progress but so many companies moving away from using VPN – working from home.